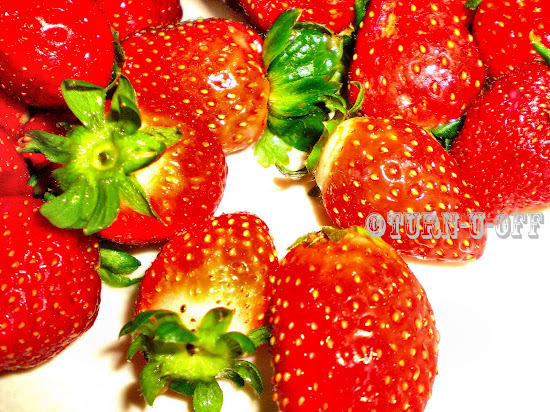 Heart-shaped and as juicy as a good love story, a bright-red strawberry is a natural symbol of ♥. hahahha.. A loves strawberries Mon.. me.. well.. i like also but not crazy over them lah.. These look so yummy! I love berries. I love strawberries too Mon! I love strawberries too. If only the sweet juicy ones are more affordable. Sometimes they look real nice but turn out to be very sour, it makes you shudder. enjoy the rest of your weekend. Happy watching World Cup. Who has never eaten strawberries??? Hah????? SURE OR Nooooooooot Elai tak pernah makan strawbs?? :) How abt strawb sundae Elai???? ?